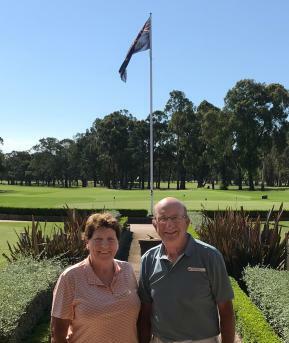 Carol Smidt from Camden Valley Golf Resort (Hcp 15) was able to just get up and win on a countback from Lesley Bortfield (Ryde-Parramatta G.C.) with a terrific score of 37 stableford points. Those that won an AVGA Tour during the year are invited to our Annual Christmas Day as our guest to compete in an additional competition that is known as our Champion of Champions. Hugh Haslehust-Smith (Castle Hill C.C.) Hcp 15 winner of the Big Island of Hawaii and Jill Levi (Nowra G.C.) Hcp 14 winner of the Christchurch New Zealand are our Champion of Champions for 2017.